The British Museum first opened to the public on this date in 1759 in Montagu House in Bloomsbury, on the site of the current museum building. It is a museum dedicated to human history, art, and culture. Its permanent collection, numbering about 8 million works, is among the largest and most comprehensive in existence and originates from all continents, illustrating and documenting the story of human culture from its beginnings to the present. The museum’s expansion over two and a half centuries was largely a result of an expanding British colonial footprint and has resulted in the creation of several branch institutions, the first being the British Museum (Natural History) in South Kensington in 1881. In 1997, the British Library (previously centered on the Round Reading Room and known as the British Museum Library) moved to a new site. The museum is a non-departmental public body sponsored by the Department for Culture, Media and Sport, and as with all other national museums in the United Kingdom it charges no admission fee, except for loan exhibitions. 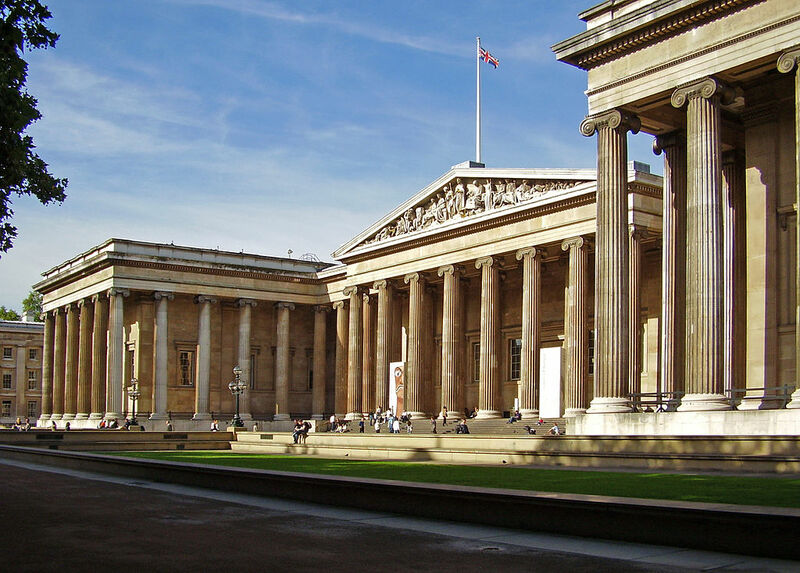 Although today principally a museum of cultural objects and antiquities, the British Museum was founded as a “universal museum”. 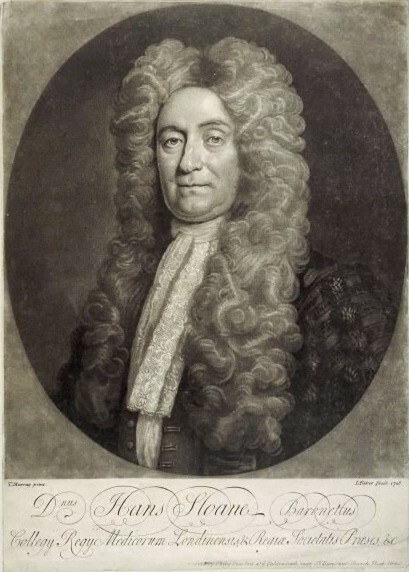 Its foundations lie in the will of the Irish-born British physician and naturalist Sir Hans Sloane (1660–1753). During the course of his lifetime Sloane gathered an enviable collection of curiosities and, not wishing to see his collection broken up after death, he bequeathed it to King George II, for the nation. At that time, Sloane’s collection consisted of around 71,000 objects of all kinds including around 40,000 printed books, 7,000 manuscripts, extensive natural history specimens including 337 volumes of dried plants, prints and drawings including those by Albrecht Dürer and antiquities from Sudan, Egypt, Greece, Rome, the Ancient Near and Far East and the Americas. On 7 June 1753, King George II gave his formal assent to the Act of Parliament which established the British Museum. 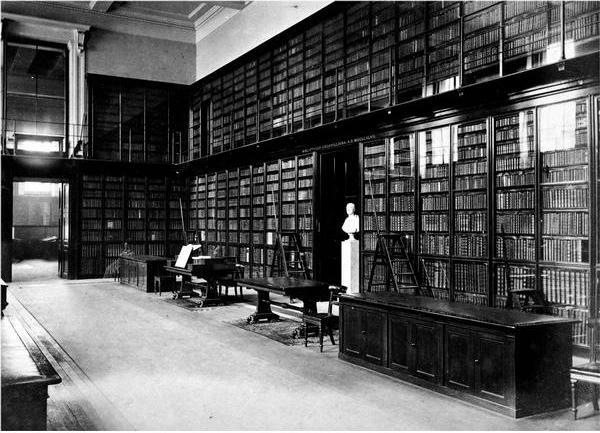 The British Museum Act 1753 also added two other libraries to the Sloane collection, namely the Cottonian Library, assembled by Sir Robert Cotton, dated back to Elizabethan times, and the Harleian library, the collection of the Earls of Oxford. They were joined in 1757 by the Royal Library, assembled by various British monarchs. Together these four “foundation collections” included many of the most treasured books now in the British Library including the Lindisfarne Gospels and the sole surviving copy of Beowulf. The British Museum was the first of a new kind of museum: a national museum, belonging to neither the church nor the king, freely open to the public and aiming to collect EVERYTHING – very British !! Sloane’s collection, while including a vast miscellany of objects, tended to reflect his scientific interests. The addition of the Cotton and Harley manuscripts introduced a literary and antiquarian element and meant that the British Museum now became both national museum and library. The body of trustees decided on a converted 17th-century mansion, Montagu House, as a location for the museum, which it bought from the Montagu family for £20,000. 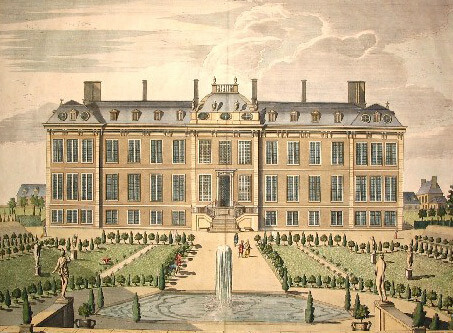 The Trustees rejected Buckingham House, on the site now occupied by Buckingham Palace, on the grounds of cost and the unsuitability of its location. With the acquisition of Montagu House the first exhibition galleries and reading room for scholars opened on 15 January 1759. In 1757 King George II gave the Old Royal Library and with it the right to a copy of every book published in the country, thereby ensuring that the Museum’s library would expand indefinitely. During the few years after its foundation the British Museum received several further gifts, including the Thomason Collection of Civil War Tracts and David Garrick’s library of 1,000 printed plays. 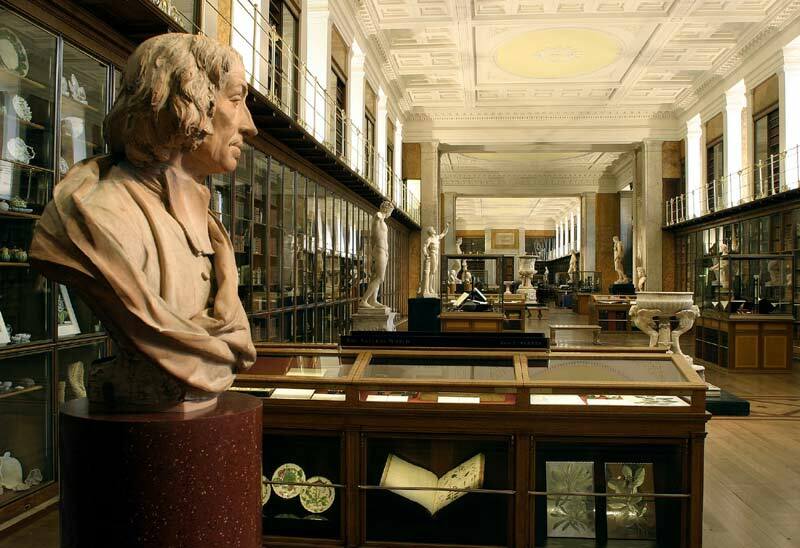 The predominance of natural history, books and manuscripts began to lessen when in 1772 the Museum acquired for £8,400 its first significant antiquities in Sir William Hamilton’s collection of Greek vases. From 1778 a display of objects from the South Seas brought back from the round-the-world voyages of Captain James Cook and the travels of other explorers fascinated visitors with a glimpse of previously unknown lands. The bequest of a collection of books, engraved gems, coins, prints and drawings by Clayton Mordaunt Cracherode in 1800 did much to raise the museum’s reputation; but Montagu House became increasingly crowded and decrepit and it was apparent that it would be unable to cope with further expansion. The museum’s first notable addition towards its collection of antiquities, since its foundation, was by Sir William Hamilton (1730–1803), British Ambassador to Naples, who sold his collection of Greek and Roman artifacts to the museum in 1784 together with a number of other antiquities and natural history specimens. A list of donations to the Museum, dated 31 January 1784 refers to the Hamilton bequest of a “Colossal Foot of an Apollo in Marble,” one of two antiquities of Hamilton’s collection drawn for him by Francesco Progenie, a pupil of Pietro Fabris, who also contributed a number of drawings of Mount Vesuvius sent by Hamilton to the Royal Society in London. 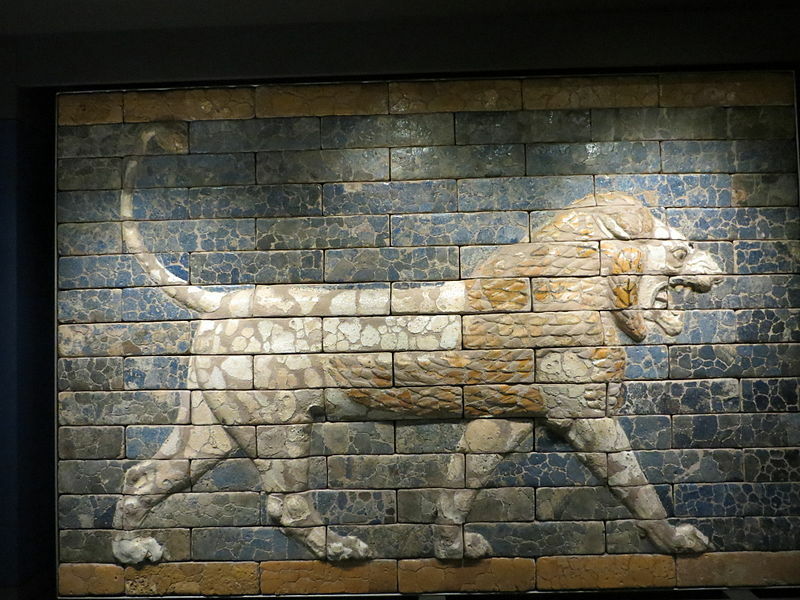 Ever since that time the museum has grown and grown to the point that it is one of the largest collections of antiquities in the world with ever-expanding facilities. I have very mixed feelings about the whole affair. On the whole, I’m not too troubled by art collections. I’d rather have works of art on display for the general public than tucked away in private homes. As far as I am concerned, art should be available to all. Cultural artifacts are a different matter. Here I have two concerns. First, when I see functional objects on display, I am troubled. They have been pulled out of context. How would you feel if someone raided your kitchen and put all your pots and pans in an exhibit? Yes, I understand that the British Museum’s exhibits are OLD. So what? They are still devoid of CONTEXT. Take American quilts as a prime example. I’ve been to one or two museum exhibits of quilts in my time. There are all these beautiful objects hung on walls. They were not made to be hung on walls; they were designed for beds. So . . . if you must exhibit them, put them on beds where you can see them as they were meant to be seen. Second, the British Museum stands, in my humble opinion, as a testament to British colonialism, which I find despicable. Discoverers and colonists journeyed the world taking what they valued and, if it was portable, bringing it back home as “treasure” (never mind the fact that many of the lands they traveled to they decided to “keep,” even though they were already owned by other people). 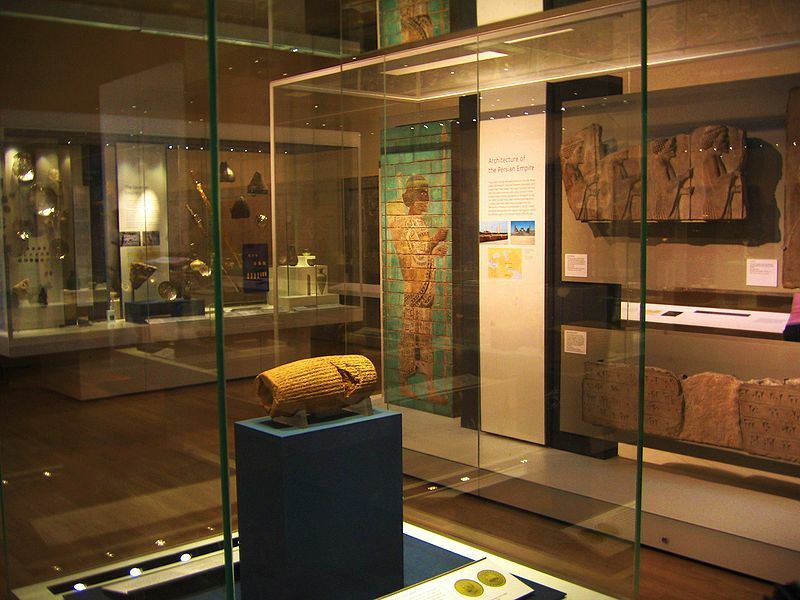 It is a point of general controversy whether museums should be allowed to possess artifacts taken from other countries, and the British Museum is a notable target for criticism. The Elgin Marbles, Benin Bronzes and the Rosetta Stone are among the most disputed objects in its collections, and organizations have been formed demanding the return of these artifacts to their native countries of Greece, Nigeria and Egypt respectively. The Parthenon marbles claimed by Greece were also designated by UNESCO among others for restitution. 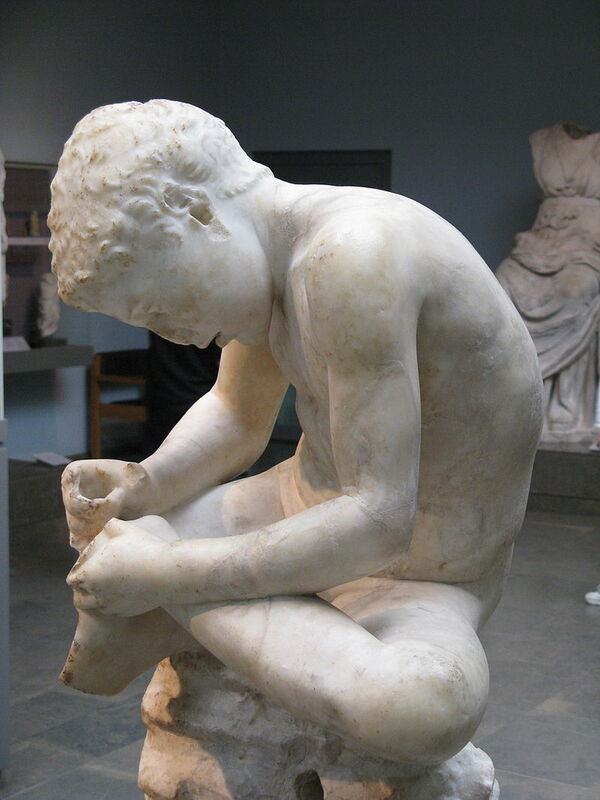 From 1801 to 1812, Elgin’s agents took about half of the surviving sculptures of the Parthenon, as well as sculptures from the Propylaea and Erechtheum. In recent years, controversies pertaining to reparation of looted artifacts taken from the Old Summer Palace in China during the Anglo-French invasion in 1860 have also begun to surface. The ransacking and destruction of Chinese palaces in the 19th century has lead to deep resentment in China. The British Museum has been asked repeatedly since 2009 to open their collections for examination by a team of Chinese investigators as a part of an international mission to document lost national treasures. 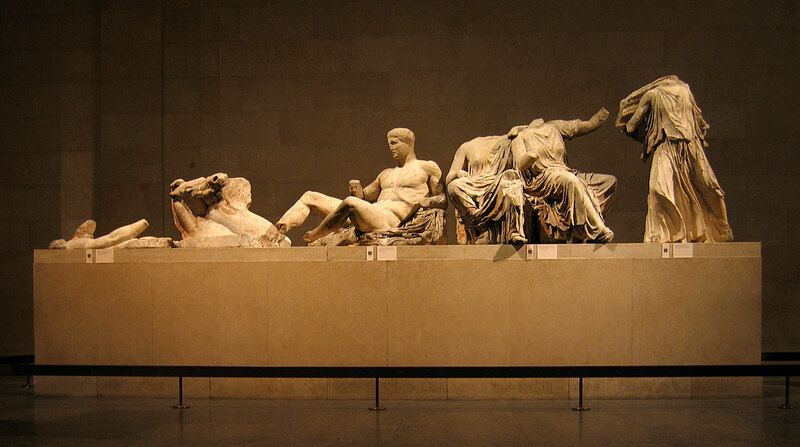 The Elgin Marbles – claimed by Greece and backed by UNESCO, among others, for restitution. The Benin Bronzes – claimed by Nigeria. The Ethiopian Tabots – claimed by Ethiopia. Achaemenid empire gold and silver artifacts from the Oxus Treasure – claimed by Tajikistan. 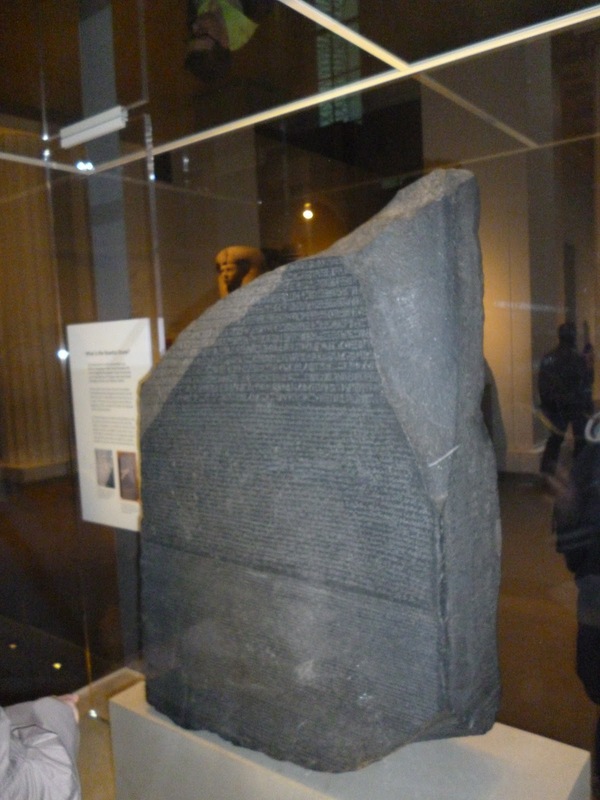 The Rosetta Stone – claimed by Egypt. Over 24,000 scrolls, manuscripts, paintings, scriptures, and relics from the Mogao Caves, including the Diamond Sutra – claimed by the People’s Republic of China. The Anahit goddess statue – claimed by Armenia. The whole issue is complicated, of course. There is a good argument to be made that some artifacts were fairly purchased. No dispute on my part. But, many were not. It’s also true that some of the Chinese antiquities, for example, might have been destroyed if they were in Chinese hands during the Cultural Revolution. Here things get murky. There have been many instances in the recent past of the destruction of antiquities by religious and political zealots. Would they have been better off in the hands of paternalistic, but outsider, conservators? There’s no easy answer here, although many Westerners think there is. To the dubious claim, “I stole it, so it is mine,” can be added “I can take care of it better than you can.” There’s also, “I took it because you were not using it at the time.” I tend to favor giving things back to their rightful owners. Given the scope of the collections in the British Museum it’s hard to settle on ONE recipe from one time period. So, I have decided to be a bit randomly quirky (no surprise !!) 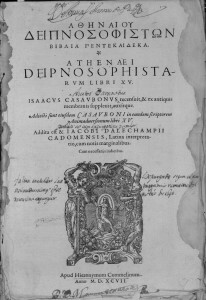 The Deipnosophistae professes to be an account given by an individual named Athenaeus to his friend Timocrates of a banquet held at the house of Larensius (Λαρήνσιος; in Latin: Larensis), a wealthy book-collector and patron of the arts. It is thus a dialogue within a dialogue, after the manner of Plato, but the conversation extends to enormous length. The topics for discussion generally arise from the course of the dinner itself, but extend to literary and historical matters of every description, including abstruse points of grammar. The guests supposedly quote from memory. The actual sources of the material preserved in the Deipnosophistae remain obscure, but much of it probably comes second-hand from early scholars. So excessive was the fragrance which was diffused from the roses. I don’t know if you’d want to make this dish. It seems very simple. Grind up pig’s (and bird’s) brains with egg yolk, oil, vinegar, wine, and pepper, plus essence of rose petals. Then bake in a moderate oven. You’d get a kind of soft meatloaf with a pungent rose aroma. I’m not averse to such a dish in principle; I have cooked brains many times. My mum used to make fried lamb’s brains on toast once in a while when I was a kid for a quick Saturday evening meal. They’re a bit like grey scrambled eggs. Nowadays I prefer to mix the brains with some other meat to firm up the texture, because I’m not a huge fan of squishy things. 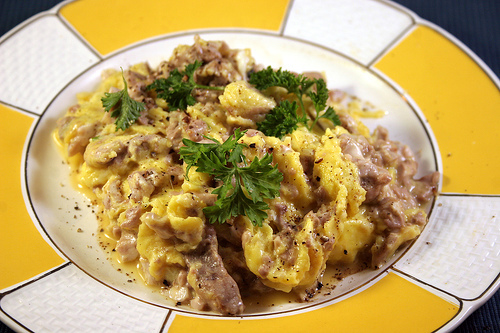 On the other hand, this dish is reminiscent of eggs and brains which was at one time popular in Portugal, Germany, and the Philippines (and diasporic ethnic communities in the American Mid-West). Add a dose of rosewater and a little wine, and I’d say you’d have a fair replica of the Roman original.